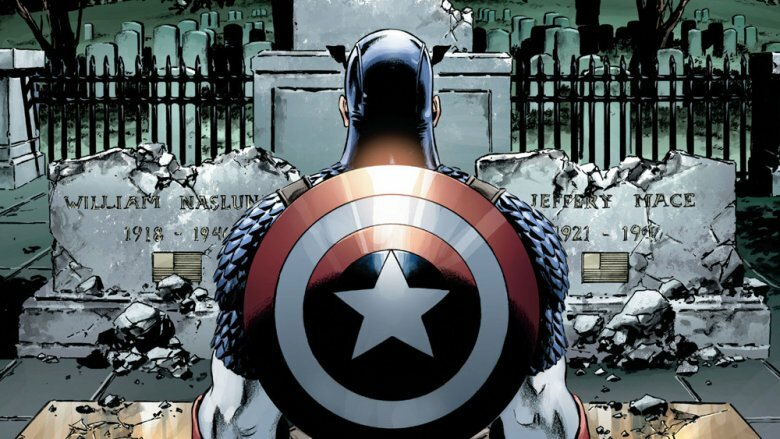 Pretty much any comic book character who's been around for a while has "died" at least once, and with 80 years of superheroic adventures under his belt, Captain America is no exception. In fact, unlike a lot of characters who have taken a trip through that revolving door of resurrection, death — or at least the appearance of it — is actually one of Cap's defining features. It's the way he's brought back to join the Marvel Universe, and it's been the cornerstone of his character ever since the Avengers melted him out of a gigantic ice cube back in 1963, when Cap made his first miraculous return to the land of the living. And folks, there's a reason I say "first." Even by the standards of superheroes, the death of Captain America is something that's happened more than you might expect. We saw the results of Captain America's first brush with death all the way back in 1963, when a brand-new superhero team called the Avengers — you might've heard of them — found his body frozen in a block of ice in the Arctic circle. 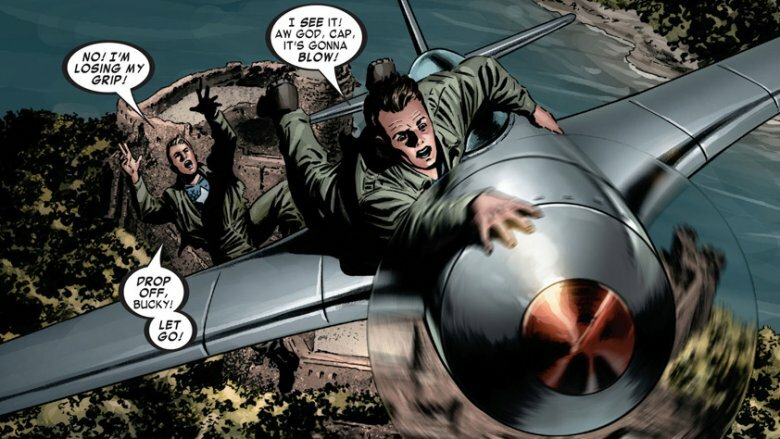 When he was revived, readers who were watching the Marvel Universe being built right in front of them found out all about his final adventure, during which he and Bucky made a successful but ill-fated attempt to stop Baron Zemo from blowing up New York, and Cap wound up dropping into the ocean, only to wind up being kept in suspended animation "by some fantastic stroke of fate." The way this plays out is pretty phenomenal, because it doesn't just reintroduce Captain America, it reinvents him. He's immediately characterized as this idealized embodiment of heroism, someone we thought we lost, but who has returned to fight the good fight once again in our darkest hour. It makes him the "Man out of Time," an idea that's been at the core of his character, and gives him that Arthurian once-and-future idea that sets him apart from other superheroes, and adds this touch of modern mythology to the Marvel Universe. It also makes him a weird kind of father figure, even though — if you really stop to think about it — he's probably younger (from his perspective) than guys like Tony Stark or Bruce Banner. He was, what, maybe 25 when he was frozen in the ice? Either way, it's difficult to imagine a Captain America that doesn't have that miraculous resurrection in 1963 (or, if you're in the Marvel Universe, "13 years ago"), who seemingly gave his life in the final days of World War II to stop the last great Nazi attack on America. 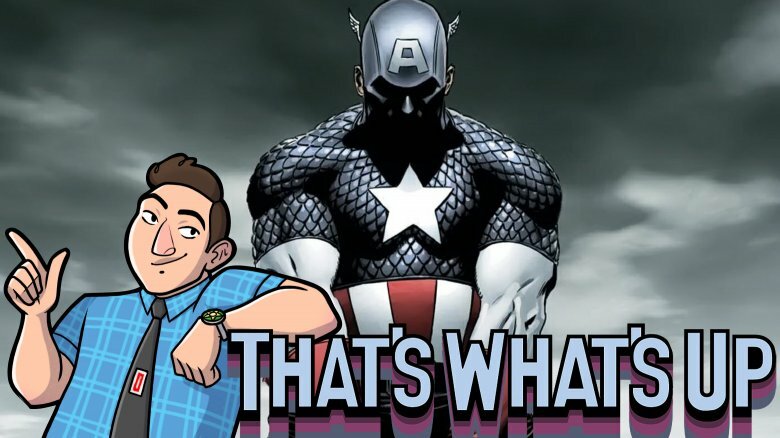 Here's the thing about that first death of Captain America, though: it never happened. I don't mean that in the sense of "neither Captain America nor Bucky actually died then." I mean that the entire thing with Baron Zemo, the bomb, the ice, all of that is 100% retcon that's added in that issue of Avengers. 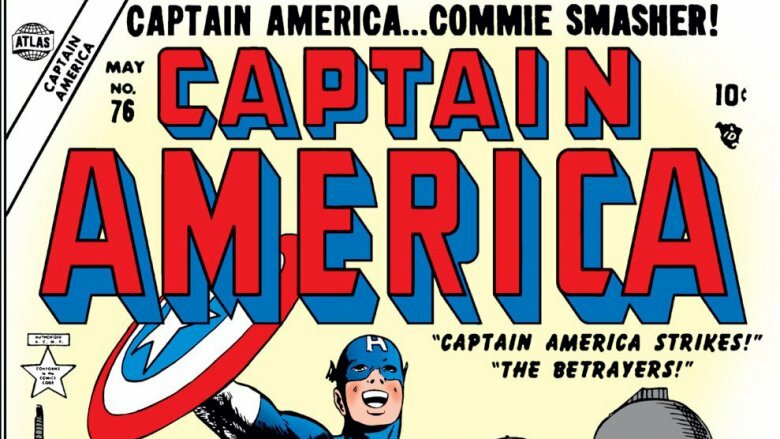 In reality — both the "reality" presented in the comics and in terms of the publishing history of the character — Captain America made it through World War II just fine. If you really think about it, that makes a lot of sense, too. He was one of the most popular characters of the Golden Age, so there was no real reason to stop publishing new stories about him just because of a little thing like, you know, the end of World War II. Captain America Comics wound up running until 1949, with stories that pretty much just shifted into Cap and Bucky fighting your standard roster of Golden Age supervillains like robots and tiny men instead of focusing on Nazis. He even got a second sidekick in the form of a girlfriend named — wait for it — Betsy Ross, who briefly became a heroine called Golden Girl. Unfortunately for Cap, the late '40s and early '50s marked a decline in the popularity of superheroes. While the biggest names managed to make it through — Superman, Batman, and Wonder Woman, along with the original Captain Marvel, whose mid-50s cancellation came for a much more complicated set of reasons — Captain America didn't. That's reflected in the comics, too. After 73 issues, Captain America Comics became the supernaturally themed Captain America's Weird Tales, attempting to wring a few extra months out of the series by jumping onto the popularity of the EC horror comics like Tales From the Crypt. It lasted two issues. The story doesn't quite end there, though. While we're all pretty used to the idea that Cap went away after the end of World War II and didn't return until he popped up in Avengers, there was another attempt to revive the character in the mid-'50s. This time, he was taking on a new set of ideological enemies, billed as Captain America: Commie Smasher! Atlas, the company that had been Timely and would eventually become Marvel, even revived Captain America Comics, picking up the numbering from the superhero-free Weird Tales series. Despite featuring the art of future Amazing Spider-Man artist John Romita, smashing communists didn't quite grab the audience's attention like socking Hitler in the jaw did. This particular revival lasted three issues before Atlas went back to focusing on mildly interesting romance comics and stories about monsters with names like Mummex, King of the Mummies. They'd stick with that until around 1961, when a desperate writer named Stan Lee and a legendary artist called Jack Kirby would try to capitalize on the success of their rival company's Justice League of America story and accidentally wind up completely reinventing the superhero genre. Point being, Cap was only ever gone from comics for about nine years. That's a good chunk of time, but the fact that he lasted until the mid '50s is a completely different set of circumstances than we're used to from the "death" that we heard about when Lee and Kirby resurrected him in The Avengers. Of course, there would eventually wind up being another retcon to explain that, but I'll get there in a second. Before we get out of the Golden Age, there's one really interesting story about death and resurrection that bears mentioning in this context, particualrly since it was written by Stan Lee. It's actually in the first issue of Captain America's Weird Tales, and seems like it might've been an attempt at easing the transition from superhero action to supernatural thrillers. It's called "The Red Skull Strikes Again," and it is the kind of beautiful madness that you can only get from pre-Comics Code Golden Age books. 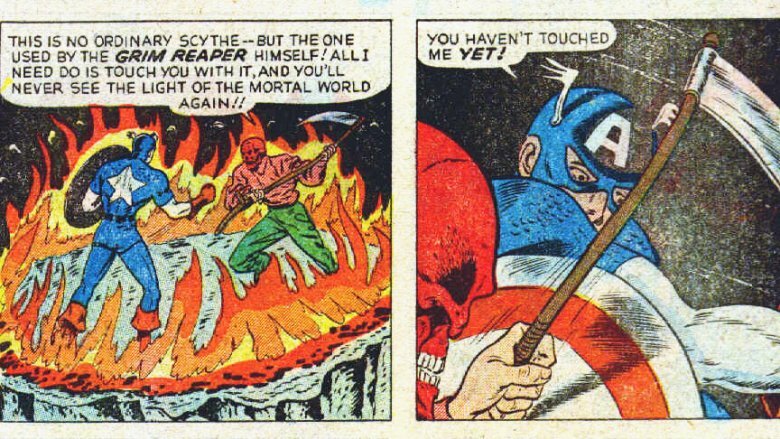 At the time, the Red Skull was dead, but that wasn't going to stop him from getting his revenge on Captain America. While suffering a well-deserved eternity roasting in Hell, the Skull gets his hands on the Book of the Dead and writes Captain America's name in it — as in, the name "Captain America." Anyone whose name is in the book is consigned to Hell, so the Grim Reaper shows up and whisks Cap to the underworld. At that point, Cap pleads his case to Satan, who decides that he and the Red Skull need to descend into a ring of fire and fight to the death (or… deather?) to determine who gets to live and who gets their revenge. Needless to say, Cap beats the hell out of and back into the Skull and wakes up back at home. It was all a dream! Or was it?! I cannot stress enough that this story rules, and should be considered to be the highest canon. Remember the retcon I mentioned above about New Captain America With Commie Smashin' Action? That's because that intervening period when Steve Rogers and Bucky Barnes were presumed killed in action but there were still actual Captain America comics coming out was explained away in a pretty interesting way. 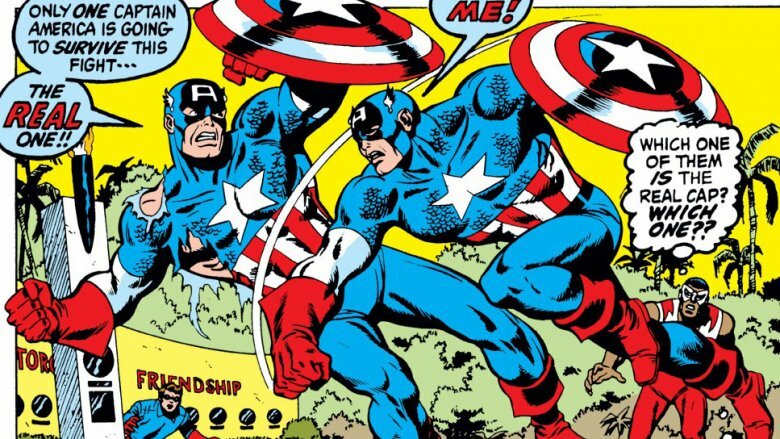 It turned out that in that time, there were actually three substitute Captains America. The first two were pretty similar. 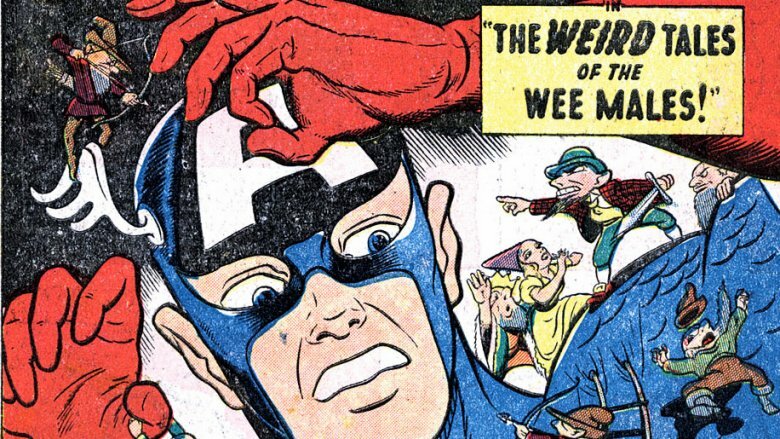 Thanks to a combination of the Golden Age boom in superhero comics and the war during which they were created, Cap was far from the only patriotic superhero to show up in the '40s. He wasn't even the first — the Shield, from Archie Comics, beat him to press by about two months. With that in mind, two of Marvel's Golden Age heroes, William Naslund (a.k.a. the Spirit of '76) and Jeff Mace (the Patriot), were revealed to have stepped into the role. Naslund was even portrayed as the Captain America who had led a team of superheroes into Berlin at the end of the war. He wound up being killed by a robot, but Mace died of natural causes after all of this was put down on the page. The third Substitute Cap, however, was a little more interesting. The ultra-nationalist commie-smashin' '50s Captain America was William Burnside, a good-natured teacher who got obsessed to the point of changing his name to "Steve Rogers" and having plastic surgery to look like him. He also did his best to track down the Super Soldier Serum and replicated it as best he could, dosing himself and a student named Jack Monroe so that they could become the all-new Captain America and Bucky. With the public believing them to be the same heroes that had always been in those roles, Burnside and Monroe were the Cap and Bucky of the mid-'50s Atlas revival, taking on Russian robots and Chinese assassins. Unfortunately, Burnside's recreated Super Soldier Serum was flawed, and wound up warping their minds, to the point where they started seeing the communist threat where it didn't exist. When Burnside later returned to fight the real Cap in the '70s, he even said that he'd been shocked to discover that "most people who weren't pure-blooded Americans were commies!" That got a little weird even for the American government in the '50s, and "Cap" and "Bucky" were stashed away in suspended animation until they broke out and started causing more trouble 20 years later. The real Cap and the Falcon defeated them pretty handily, and Cap wound up passing down his Nomad identity to Monroe. In fact, he was still using the "Nomad" name when he was murdered by Bucky, who had been brainwashed into becoming the Winter Soldier. Burnside, on the other hand, was himself brainwashed by a villain named Doctor Faustus into becoming "The Grand Director," a leader of a homegrown terrorist group called the National Force. After a presumed death, he'd crop up a few more times, most recently one again taking the identity of Captain America while Steve Rogers was dead and forming an ultra-conservative right wing militia that wanted to "take our country back." Bucky and the Falcon stopped him, and once the real Steve Rogers was back, he had Burnside declared officially dead and sent him to a facility where he could get help overcoming Faustus's conditioning and the mental damage caused by his flawed Super Soldier serum. 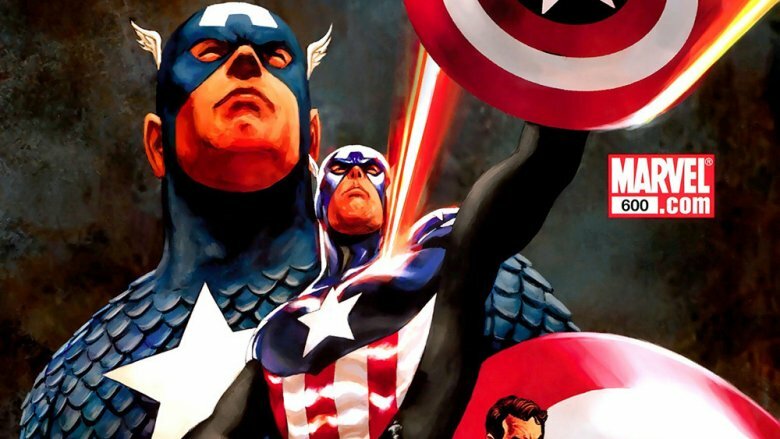 If you're even a little bit familiar with Steve Rogers' comic book history, then you're probably aware of the time that he watched Not-Richard-Nixon (wink wink) kill himself in the White House after being revealed to be the leader of the fascist Secret Empire, and decided to quit being Captain America for a while. Instead, he took the name Nomad and got a goofy costume that he tripped over the first time he tried to fight crime in it. That's pretty well known, but what's far less well-remembered is why he came back: Roscoe Simons. 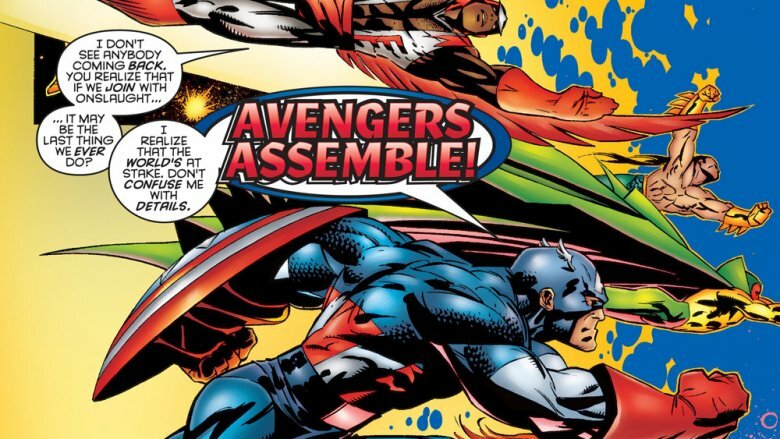 One of the really interesting elements of the Nomad arc was that while Steve had very publicly forsaken the Captain America identity, other people recognized its symbolic value and attempted to carry on as the new Cap. Unfortunately, these weren't superheroes like Bucky and the Falcon, who would actually serve as Captains America in the future — they were untrained civilians who just wanted to make a difference. Needless to say, it did not go well, with the first breaking his arm on his first attempt swinging from rooftops, and the second being beaten to a pulp when he tried to stop a mugging and ended up fighting six armed gang members. The third was Roscoe Simons, a well-meaning youngster with a ridiculous "Noo Yawk" accent. He was persistent enough that the Falcon even took him on patrol, and even made it to the cover of Captain America #181, billed as the new Cap. Unfortunately, he was about two hours into his career when he and the Falcon were ambushed by the Red Skull, who strung Roscoe up by his foot on a rooftop and, as Sam Wilson put it, "slaughtered" him. That's when Steve realized that there would always be a Captain America, and if it wasn't him, the less powerful would be in danger that they couldn't handle. 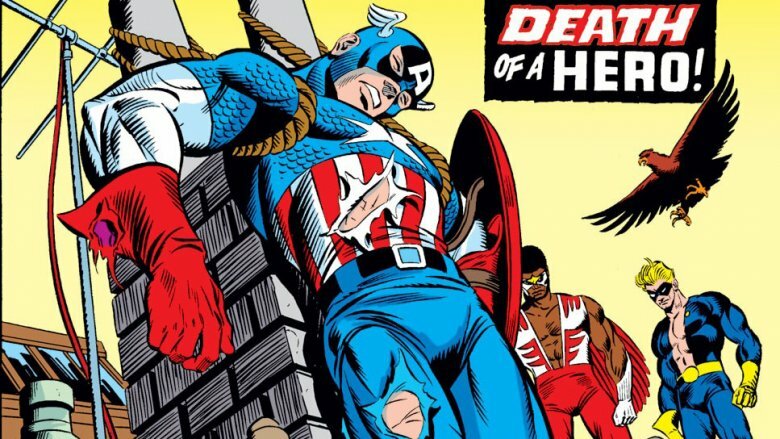 There's one big Captain America death that most people don't count, because… well, because of extremely comic booky reasons like reboots, parallel worlds, the fact that it happened as part of an X-Men crossover, and that it's debatable as to whether anyone was ever actually dead. Face it, true believer, this one has it all. This took a couple of years to play out in the comics, but I'll try to keep it brief. Professor X and Magneto's brains mingled and wound up creating a third ultra-powerful entity called Onslaught. For some reason, the X-Men couldn't deal with this, so the Avengers, the Fantastic Four, and the Hulk had to stop him by… jumping at him? Honestly, I've read this story like three times and I'm pretty unclear on it. The end result was less of a "death" than most superhero deaths are. Captain America, Incredible Hulk, Fantastic Four, and Avengers were all rebooted for a year as the "Heroes Reborn" line, and then re-rebooted a year later with a back-to-basics approach. All that to get rid of Teen Tony. Finally, we have the story that most people think of when they hear the phrase "the Death of Captain America." It happened in the aftermath of Civil War. If you're unfamiliar, the broad strokes are the same as the Captain America film that was extremely loosely based on it: something bad happens, and so the government proposes a Superhuman Registration Act. Tony Stark is for it, Steve Rogers is against it, and they wind up fighting. The big difference is that in the comics, this goes on for like seven months with some pretty ill-advised symbolism and a plot point that ends up requiring Spider-Man to literally make a deal with the devil. Anyway, Cap ends up surrendering at the end rather than continuing to fight against other heroes, and gets arrested. That's a bit of an anticlimax in the Civil War comic itself, but it also leaves the Captain America series, one of Marvel's hottest books at the time, in a bit of a bind. Do you do a comic about Cap sitting in jail for months on end? Have him cleared of all charges and negate the ending of the big event? Does he bust out and go underground to ride around on a motorcycle to rediscover America? Well, if you're Ed Brubaker and Steve Epting, you just go ahead and kill him off. It's a bold strategy, but it actually dovetailed pretty nicely with what they were doing in the book at the time. The entire run up to that point had been built around Bucky, whose death was one of the major cornerstone moments of Marvel Universe history, returning as the Winter Soldier. Again, if you've seen the movies, you already know that story worked out pretty well, but there was one element of it that the films haven't gotten around to. Yet. 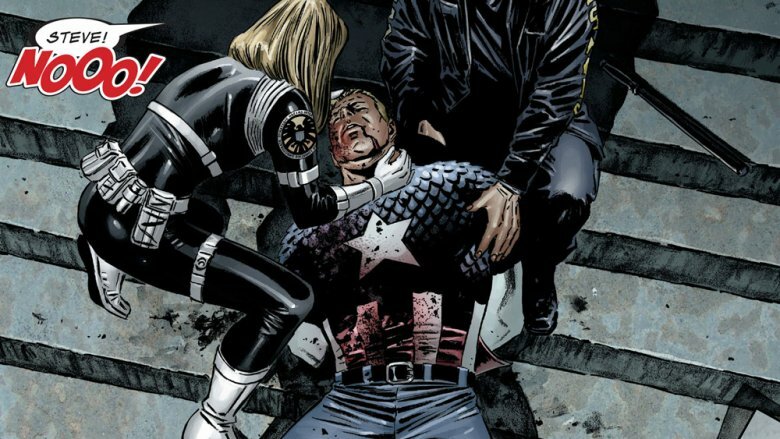 With Steve Rogers dead and an ongoing mystery about who pulled the trigger and why — spoiler warning, but it was Sharon Carter being mind-controlled by the conditioning of Doctor Faustus — the way was cleared for a new Captain America. Bucky's return from the dead made him the logical choice, and for the next few years, Bucky Barnes stepped into the role. Obviously, Steve eventually came back — it's complicated, but suffice to say that it involves time bullets — but it built on the idea we'd seen before, that there would always be someone carrying that legacy, and paved the way for Sam Wilson to do the same thing ten years later. So, back to the original question.I'm not sure what any of this has to do with the MCU but, well, I personally think there's a good chance Steve's not making it out of Endgame, and they've already got the Winter Soldier hanging around having gotten his mind right by doing some goat farming. If there's a neater setup for a big change, I haven't seen it.